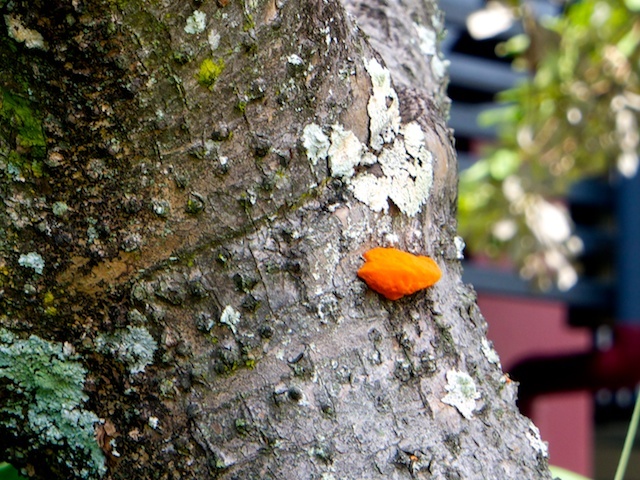 Actually it's a piece of fungus, growing with the lichen in what I thought was a very unlikely spot, on a dry tree trunk in a dry beach side suburb. And then I spotted the garden watering system. I thought they had been abolished in the last drought, but apparently not, so the colour abounds where one least expects it!